To showcase innovation and good practice, Campaign is publishing the best case studies from the 2016 Marketing New Thinking Awards, held in association with Sky Media. EasyJet and Havas Helia triumphed in the Data Creativity category for their data-driven work on the airline's 20th anniversary. EasyJet has been making travel easy and affordable for over 20 years. To celebrate our 20th birthday, we wanted to do something different to the usual chest-beating, self-congratulatory communications so commonly reeled out by agencies for similar events. So we looked to our data to see what we could use and found truly inspiring, personal nuggets of information about our customers’ journeys with us over the last 20 years. Using this data in our comms allowed us to create emotional stories that would not only bring our customers’ travels to life in an innovative, creative way – it would intertwine us together with a shared history. We created entirely personalized emails with dynamic copy, images and links to tell each customer’s story from their first flight to their future flights, adding some fascinating facts about their travel behavior and personal recommendations for future trips. Finding a creative way to tell a personal story for every individual customer was a challenge. The story had to adapt for customers who had only flown once, to those who have travelled hundreds of times. But, most importantly, it had to be a story with feeling, not just a series of facts, to inspire the emotion of nostalgia and the excitement of future plans. For instance, we made personal travel recommendations by creating a model that profiled all of the destinations they had been to and suggested other, relevant ones. And we compared the distance travelled with us to things like the length of the Nile and the distance to the moon. The resulting emails were built using a series of 12 modules that could be integrated together in a way that best told the story of each individual customer. Our open rates were over 100 percent more than that of the average easyJet newsletter – with 25 percent higher click-through rates. Within minutes of the first batch of sends we saw an overwhelmingly positive response across social media with an estimated reach of 685,000 people and more than 1.1 million impressions. Hundreds of customers posting about receiving their story, 78 percent positive sentiment and "love" being the most commonly used word – not results usually linked with an email campaign. Not only that, but we established that link between emotion, engagement and ultimately, transactions. 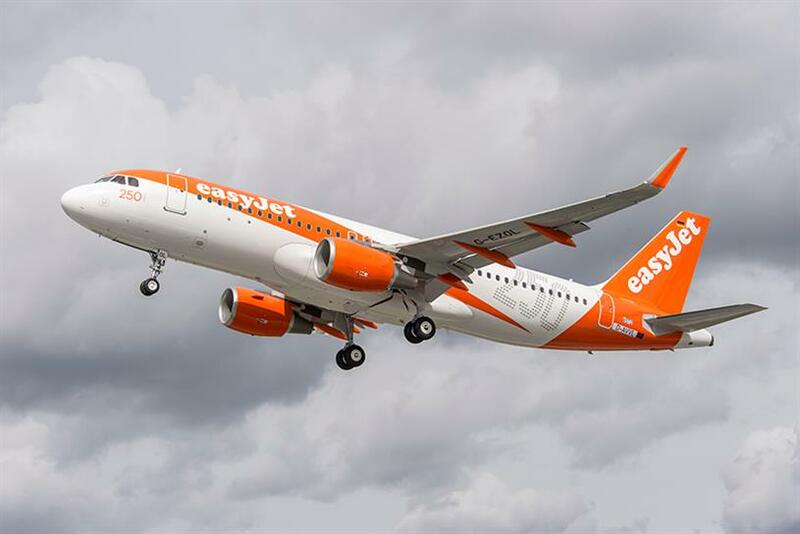 Across all markets, 7.5 percent of easyJet customers who received the fully personalized version went on to make a booking in the next 30 days. Conversion rates increased by nearly 30 percent for customers in Switzerland. Compared to promotional emails that were sent in the same time period the personal story was 14 times more effective in triggering an action in certain markets. easyJet launched in 1995 with a clear and focused purpose: to make air travel easy and affordable for more people. With this democratising intent firmly established, it successfully leveraged its innovative low-cost business model to disrupt the market place over the following two decades. In 2010, easyJet further developed its proposition beyond low cost by becoming a truly customer-centric and affinity-driving brand. 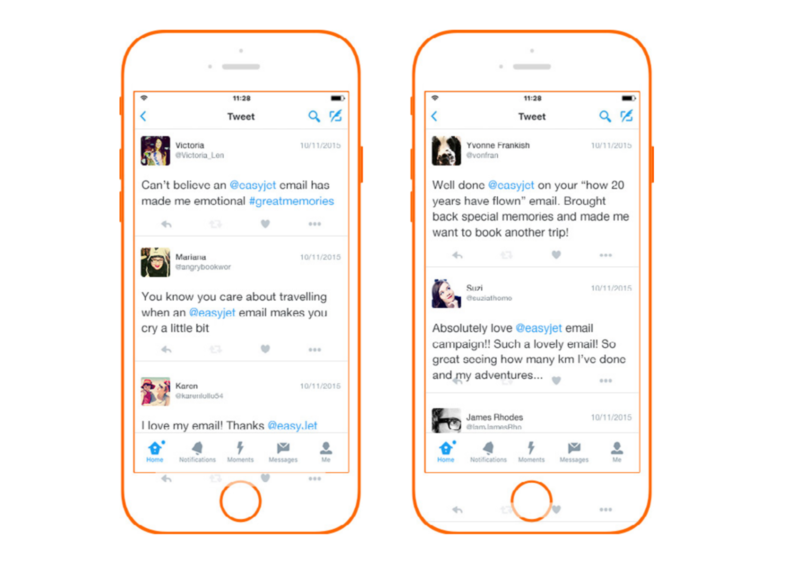 A key part of this was the enhancement of easyJet’s customer relationship marketing. Evolving from one-size-fits-all communications to a world in which smart data allows it to talk to travellers personally—based on why and where they were travelling. The result was engaging travel inspiration and meaningful communications that also contributed toward a dramatic uplift in sales and customer retention. Since 2010, the business has recorded success after success: climbing passenger numbers, strengthening brand perception scores and record profits. 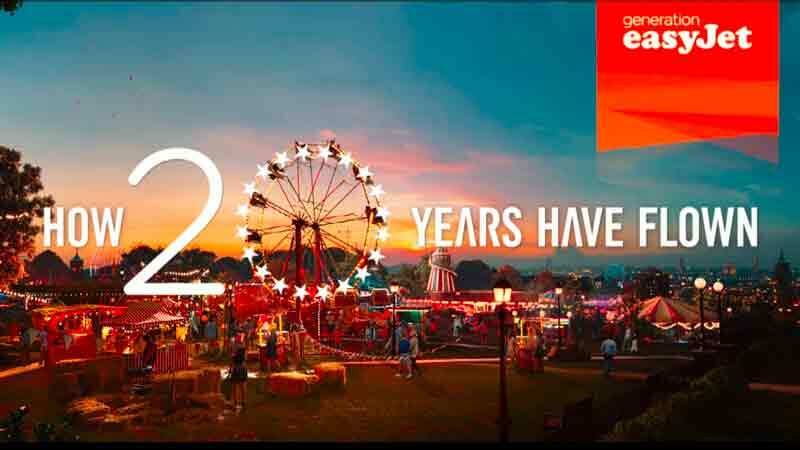 easyJet wanted to use its 20th birthday as a means to communicate its brand heritage and appreciation to all of its customers. As opportunities go – celebrating the success of how far our customers have brought us is always good. The risk was that anniversary communications tend to veer towards chest beating and self-congratulation. So how could we tell this story in a way that would resonate personally and emotionally? When we looked into the data, we found inspiring nuggets of information about our customers’ journeys with us over the last 20 years. This is where we had our ‘a-ha’ moment—we realized that data was the glue that intertwined easyJet and our customers together – we could use it to show that customers’ histories were inextricably linked with easyJet’s—and make stories an intrinsic part of the idea. "How 20 Years Has Flown" was the integrated campaign idea. This was all about shifting the focus from the airline to our customers by celebrating their experiences over the last 20 years. The idea explored the human side of travel, and in doing so, highlighted easyJet’s evolution from low-cost airline to a market-leading airline brand. But it was in direct communications that we could truly bring to life every single customer journey with easyJet using our data in personal and creative ways. We delved deep into all of our data sources to build specific stories, as well as understanding overall behaviours and trends. We then chose to use this data to creatively display each and every customer’s individual travel history over the last 20 years with us, and into the future. Finding a way to do this for each individual customer was a challenge. The story had to adapt for customers who had only flown once, to those who have travelled hundreds of times. It had to be meaningful across 11 languages. But most importantly, it had to be a story with feeling, not just a series of facts, but something that inspired the emotion of nostalgia and the excitement of future plans. For example, knowing exactly how many miles you have flown with easyJet – fairly interesting, but equating that to the distance to the moon or the length of the River Nile – that’s talkability. Not only did we want to mirror back the customer’s history but we wanted to inspire them to look into the future – those that had an upcoming booking, we counted down the days – who doesn’t count down to their next trip away? We also made a very personal recommendation based on what we know about them. The starting point was obviously a destination they hadn’t been to with easyJet. But to make it truly personal we created a model that profiled all of the destinations they had been to and suggested similar ones based on easyJet’s destination profiles, and also where other customers with similar travel patterns had been. Then carried out a sense check to ensure there was a direct route from their most frequently used airport. The emails were built using a series of 12 modules combining graphic devices, destination imagery and emotive copy flowed together to bring to life the 28 key data points. The content included more than 770 lines of variable text driven by 49 rules ranging from the relatively simple, "when was your first flight with us" to a complex series of conditional logic. The extract that powered this campaign contained over 1,000 lines of code, resulting in 12 million-plus emails that were completely unique. A total of 12,473,608 unique emails were sent and saw open rates that were more than 100 percent higher than the average easyJet newsletter – with 25 percent higher click-through rates. Undoubtedly, the campaign drove engagement, but did it drive the emotional response we were hoping for? Within minutes of the first batch of sends we saw an overwhelmingly positive response across social media with an estimated reach of 685,000 people and more than 1.1 million impressions. Hundreds of customers posting about receiving their story, 78 percent positive sentiment and "love" being the most commonly used word – not results usually linked with an email campaign. Not only that, but we established that link between emotion, engagement and ultimately, transactions. Engagement was considerably stronger with the emails that had the most personalization in them, customers who received a personalized destination recommendation drove three times as many clicks as the generic text used when no recommendation was available. Across all markets, 7.5 percent of easyJet customers who received the fully personalized version went on to make a booking in the next 30 days. Conversion rates increased by nearly 30% for customers in Switzerland and it was our customers in the Netherlands who were most inspired to book the destination we had recommended. Comparing these results to those of the sales-driving promotional emails that were sent in the same time period shows that in some markets the personal story was 14 times more effective in triggering an action.